Seating: The Golf GTI can handle as many as five adults comfortably in the roomy 93.5 cubic feet of interior passenger space. Cargo: This hatch is a popular choice for Brandon drivers, thanks to the spacious 17.4 cubic feet of standard cargo capacity, which can be expanded to 53.7 cubic feet when the rear seat is folded flat. Whether you choose to load your Golf GTI with people or stuff, or some combination of the two, you won’t lack the space to get it done. VW Car-Net®: Get information about weather, traffic, news, sports and more, or connect your smartphone for hands-free calling and music streaming with the innovative infotainment system. Premium Audio: The available Fender® 400-watt, an eight-speaker audio system turns every drive into a command performance. Keyless Access: Leave your fob in your pocket and take advantage of the convenience of pushbutton start with key-free access. Ambient Lighting: Choose the perfect scheme to soothe you after a hectic workday or just coordinate your outfit and your vehicle’s interior lighting. Dual-Zone Climate Control: No more fighting over interior temps with the optional Climatronic® front dual-zone automatic climate control system. Adaptive Cruise Control: Tell the Golf GTI your preferred speed and following distance, and it can automatically maintain it with this available system. Heated Seats: Optional front heated seats make even chilly mornings bearable. With all it has to offer savvy Wesley Chapel shoppers, it’s little wonder the Golf GTI is a top pick at Reeves Volkswagen. 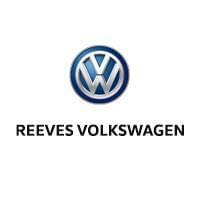 Test Drive a Golf GTI at Reeves Volkswagen! To learn more about the 2019 Golf GTI interior or to experience it yourself, schedule a Clearwater area test drive today and see what you’ve been missing. Our team knows the Golf inside and out, from the meaning behind its name to its latest features. Curious how it compares to competitors? Check out our Golf GTI vs. Audi A4 comparison!